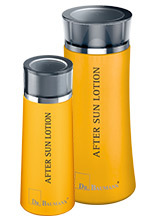 Calms and refreshes the skin after being in the sun or sun bed through a special combination of active substances. Sunburn fades more quickly and the intensity of the tan is enhanced. Ideal for use in combination with the regenerative Vitamin A ampoules.